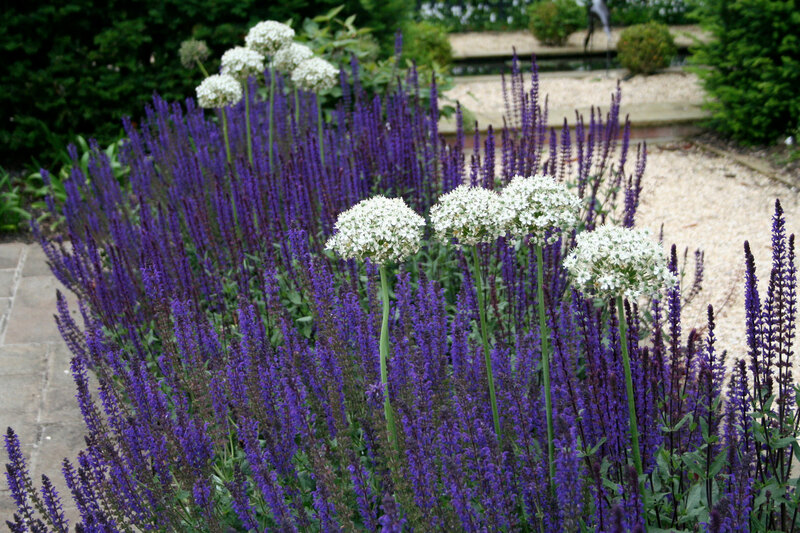 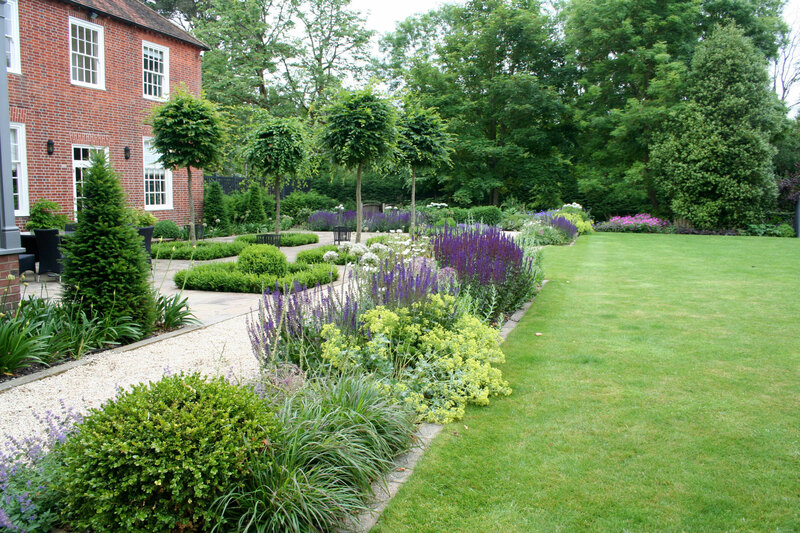 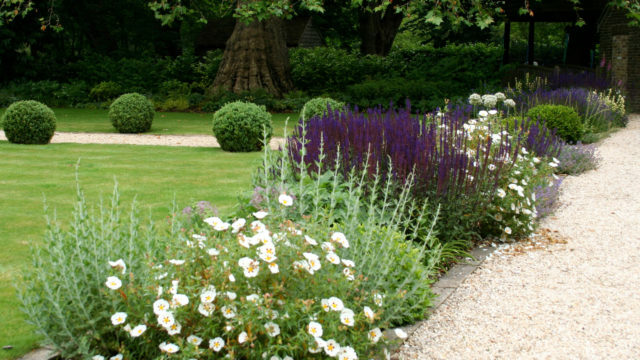 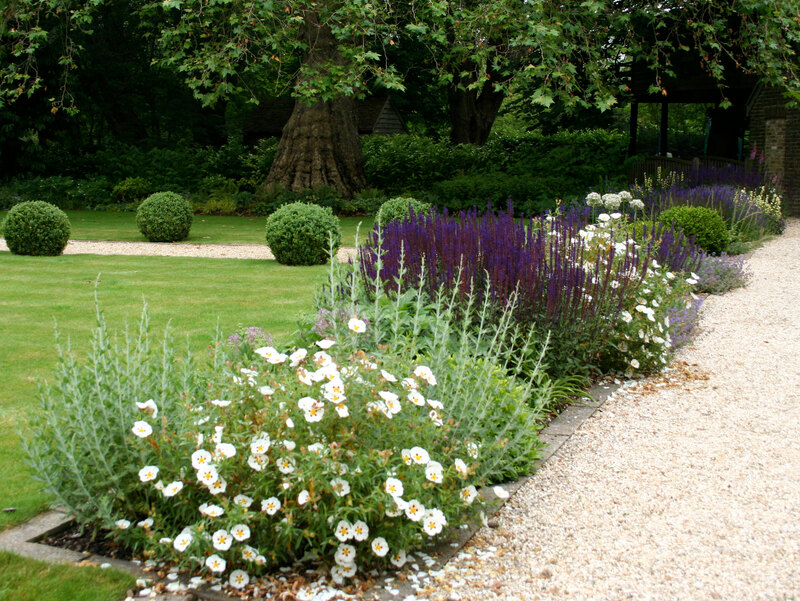 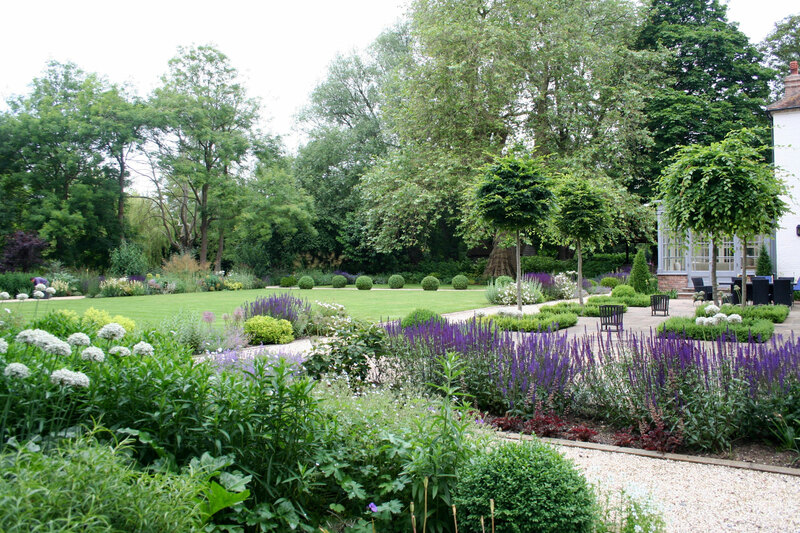 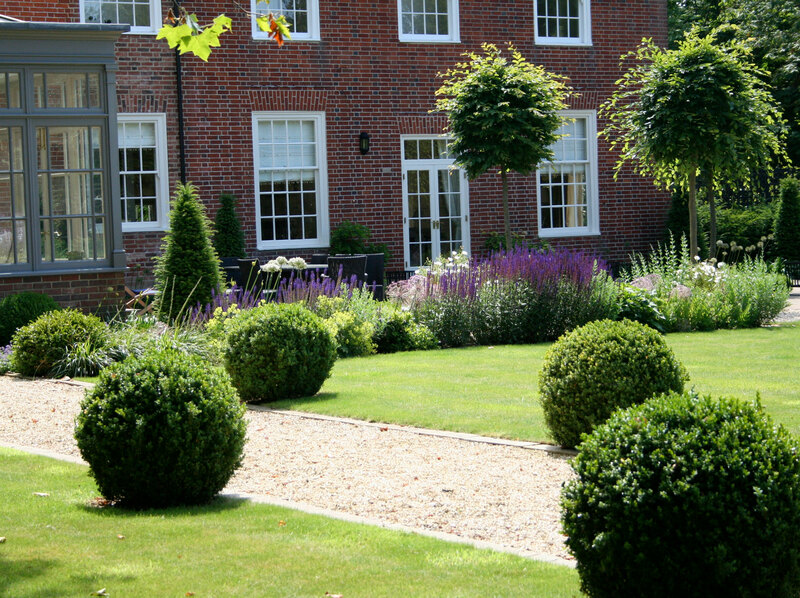 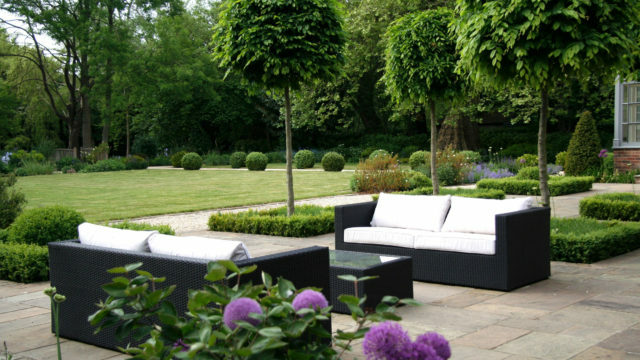 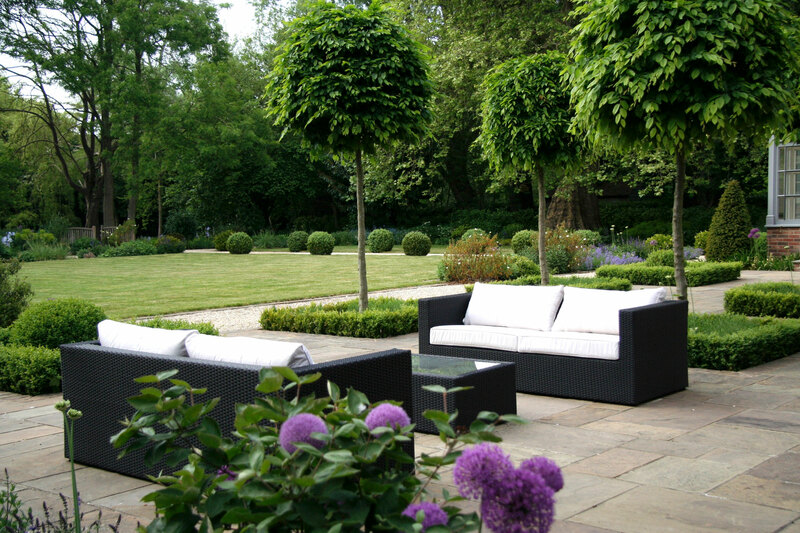 This was a planting design project for my clients as the hard landscaping was already in place. 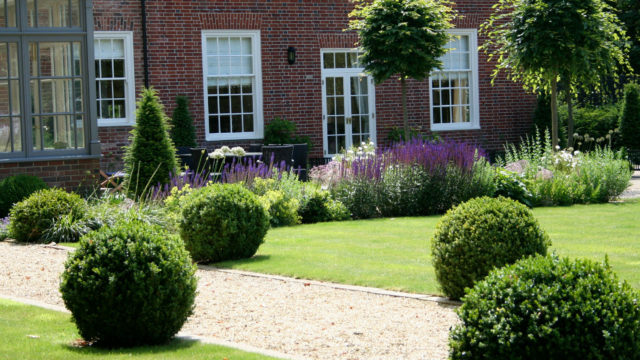 Large empty borders were transformed into a mass of colour with topiary and hedging providing structure and some formality near the house. 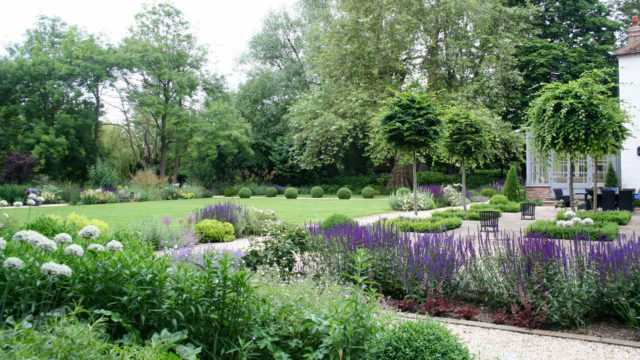 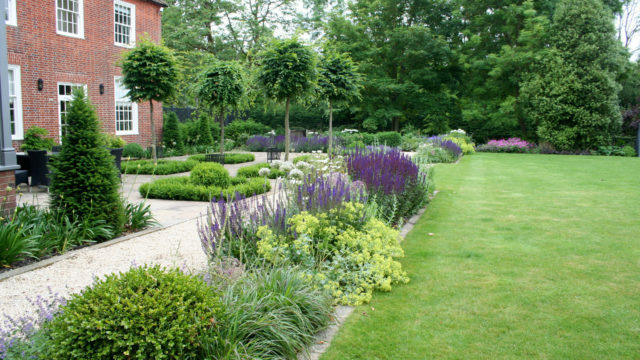 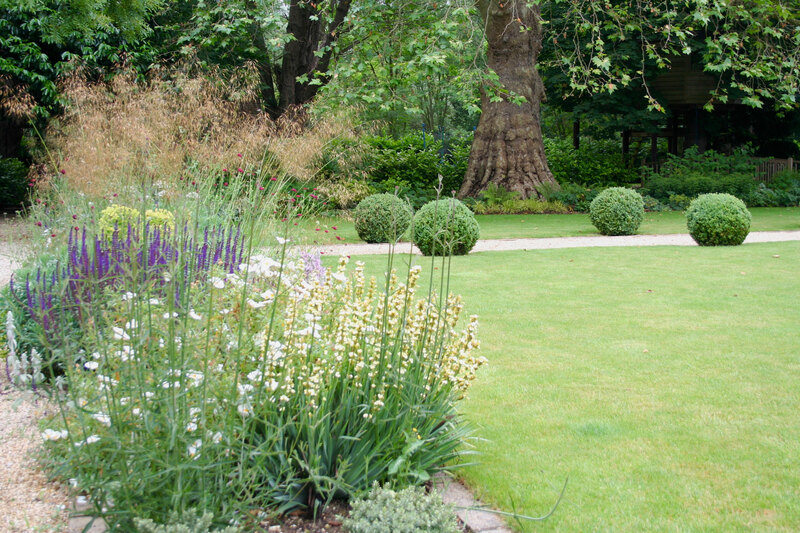 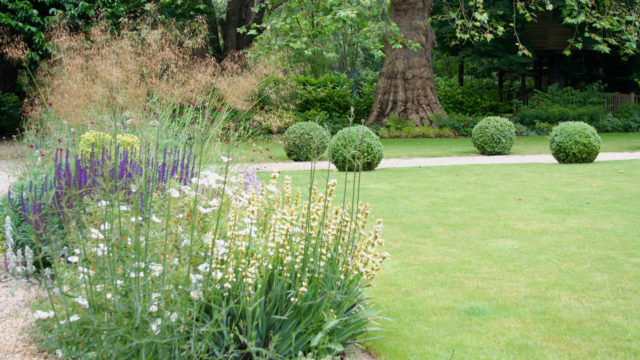 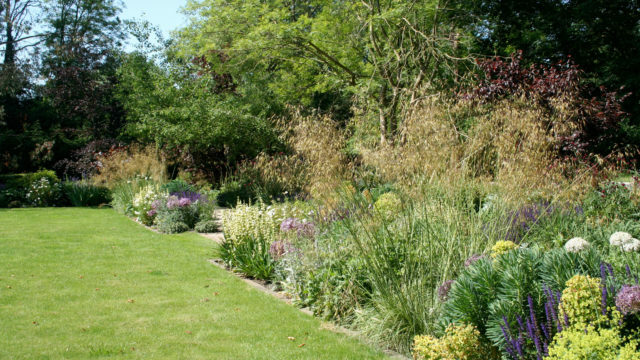 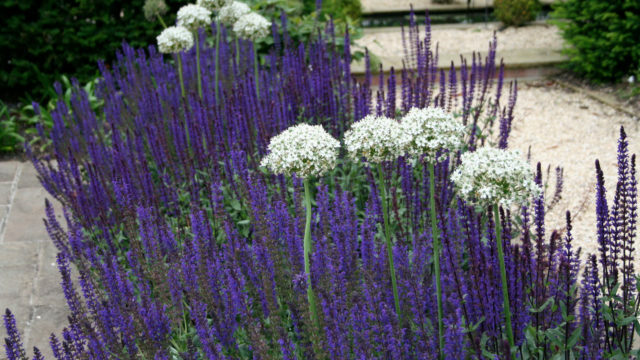 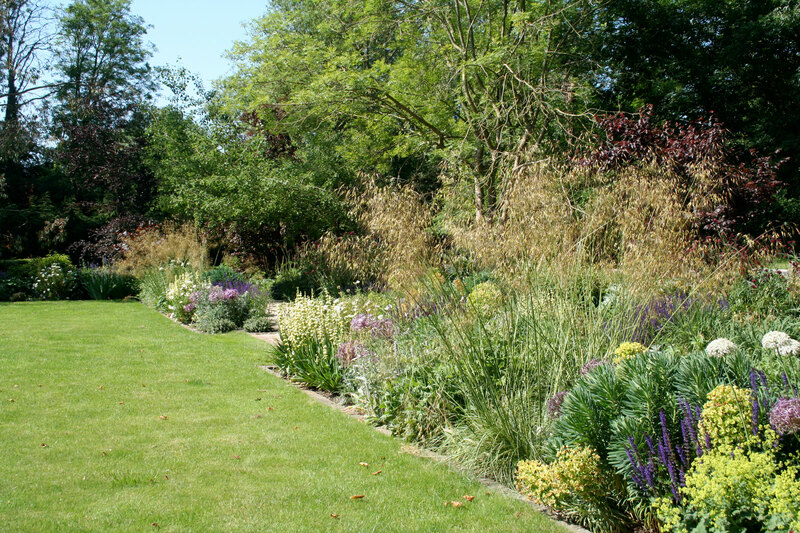 Grasses and tall airy perennials create height and movement, and a limited number of plants in large groups are repeated throughout the planting spaces. 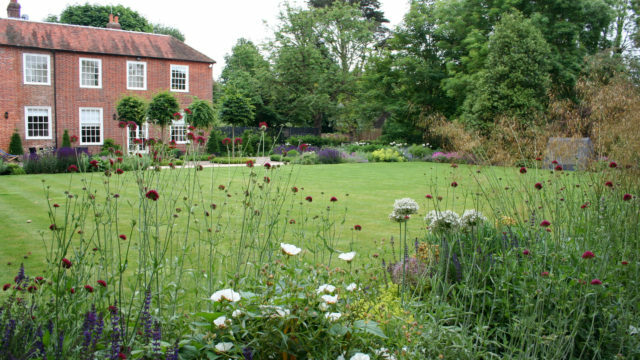 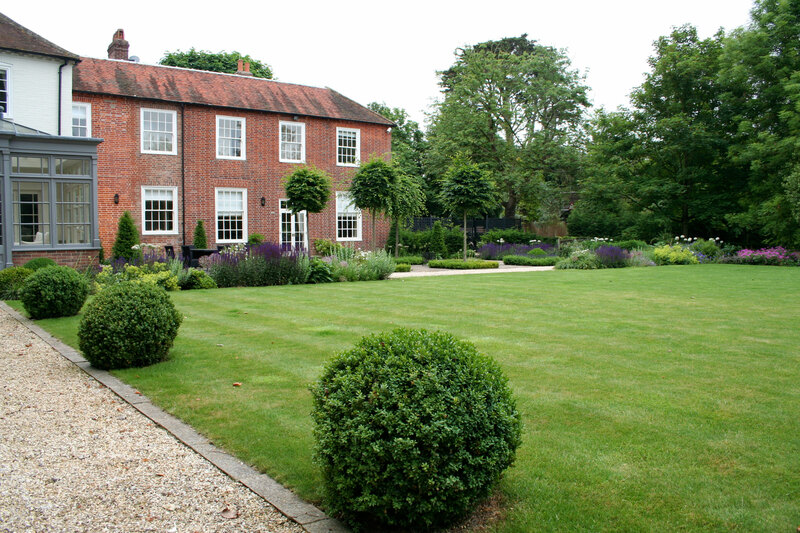 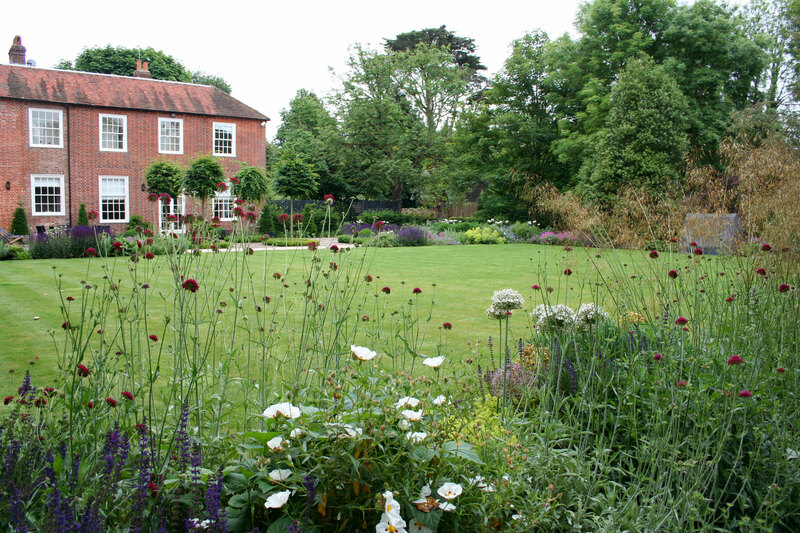 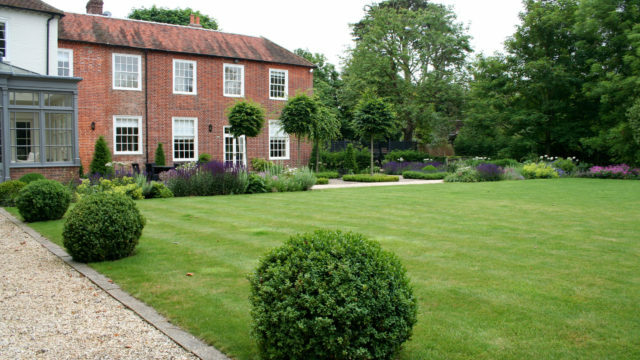 This is a sunny rural garden near the south coast, not far from Chichester in West Sussex.